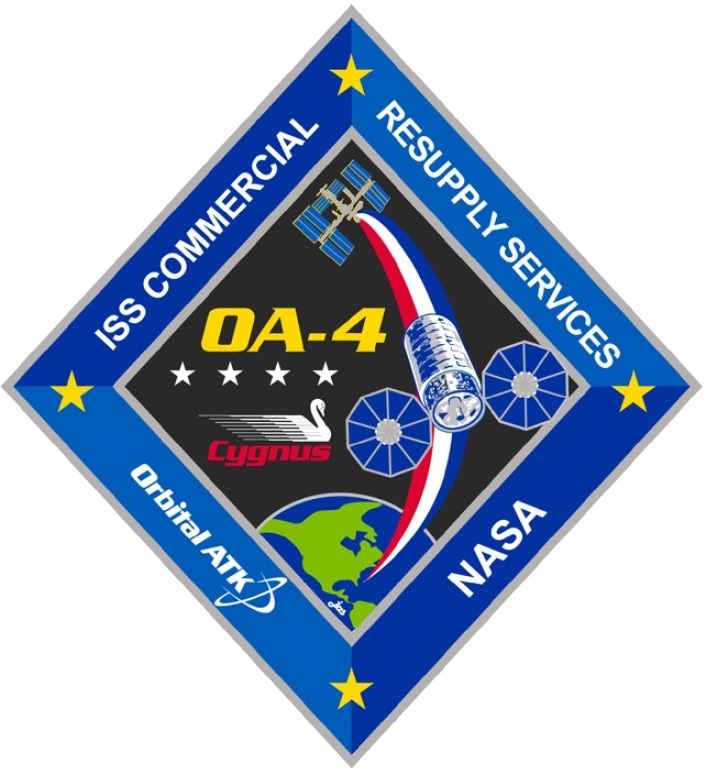 Cygnus OA-4 is the fourth operational Cygnus flight and the return to flight for the spacecraft after the Antares launch failure of October 2014 in which the Orb-3 resupply craft and most of its contents were lost. The OA-4 mission is an interim mission launching on an Atlas V 401 rocket to bridge a gap in Antares launches needed for upgrades of the rocket that will return to flight in 2016 with new engines. Taking advantage of the performance of Atlas V, Cygnus OA-4 – the first to use the enhanced Cygnus spacecraft with a larger cargo module – will be able to deliver a record-setting payload to the International Space Station. Cygnus is loaded with 3,513 Kilograms of cargo, making up for lost upmass and allowing ISS to continue re-stocking its shelves as the effects of the losses of Dragon SpX-7 and Progress M-27M earlier in 2015 are still being felt. 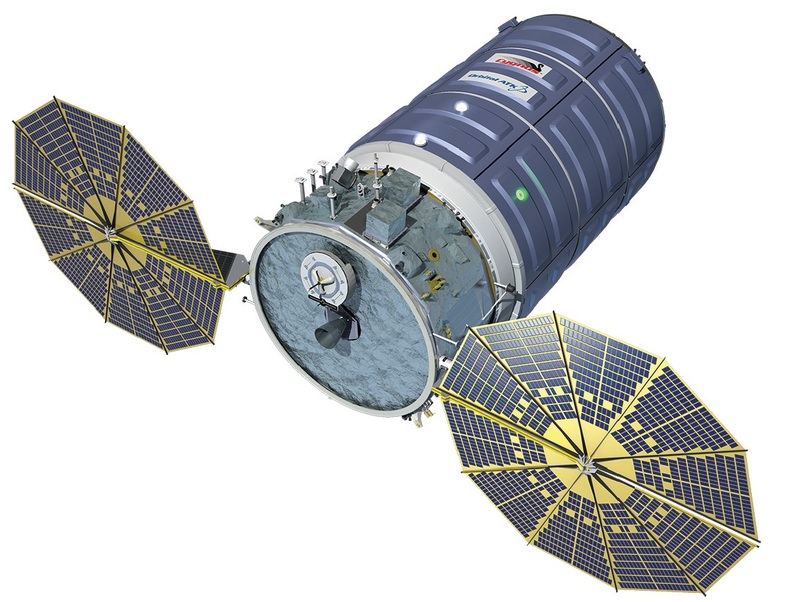 The Cygnus spacecraft is loaded with supplies for the crew comprised of food and other consumables such as hygiene articles, systems hardware and replacement parts for the various onboard systems on the U.S. Segment of ISS, spacewalking equipment and computer resources. Also, Cygnus is delivering science equipment for several dozen experiments in progress during ISS Expeditions 45 and 46. Over the course of its mission, cargo delivered by Cygnus will be removed from the spacecraft and replaced with 1,500kg of trash and no-longer-needed hardware that will be disposed via destructive re-entry. 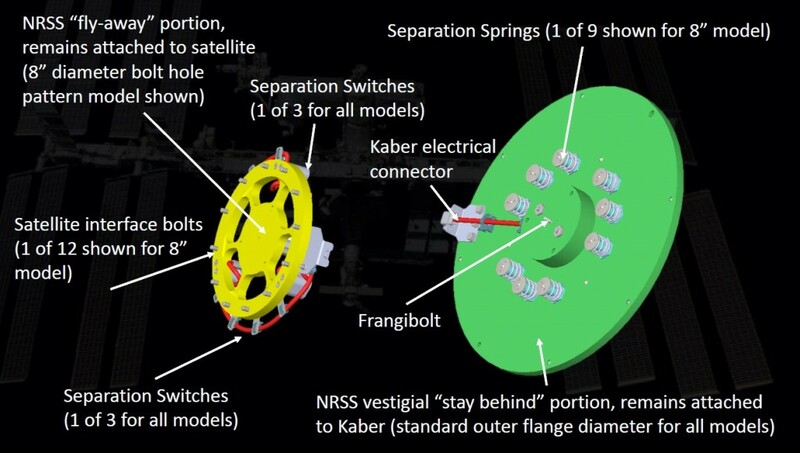 Kaber is a deployment system for small satellites, developed by NanoRacks to open up opportunities for microsatellites, not necessarily conforming with the CubeSat factor, to be released from the International Space Station. Deploying satellites from ISS has a number of benefits. Launching the vehicles aboard the logistics carrier of ISS visiting vehicles reduces the vibration and loads they have to encounter during launch. 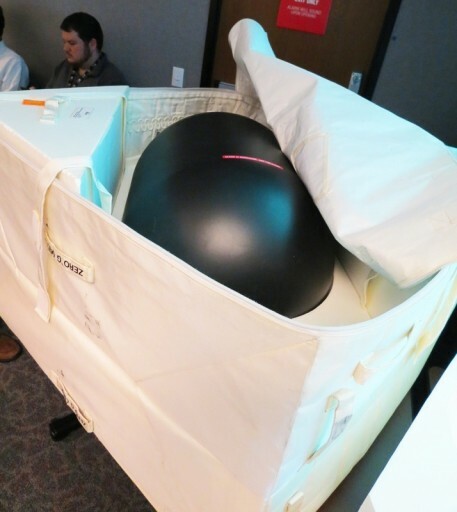 In addition, they can be packed in protective materials so that the probability of damage during launch is reduced significantly. Also, once arriving at the Space Station, the satellites can be checked pre-deployment, making sure any damage is detected before committing them to flight. 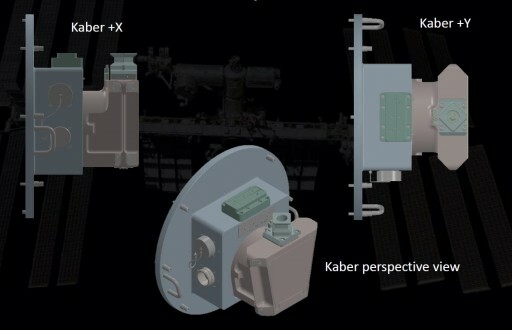 Kaber uses the established deployment infrastructure already in place aboard ISS, at its heart being the airlock of the Japanese Experiment Module that allows satellites to be transferred to the outside for the deployment. Part of Kaber is a JEM Slide Table Interface, a Motorized Lightband Separation System or a NanoRacks Separation System. The JEM Slide Table Interface uses previous heritage of Camera, Light Pan & Tilt Assemblies already in use aboard ISS. Kaber’s separation system makes use of a three-point ultra low-shock separator with a variable number of springs actuated by a single frangibolt. The separation systems can handle payloads with a mass of up to 100 Kilograms. 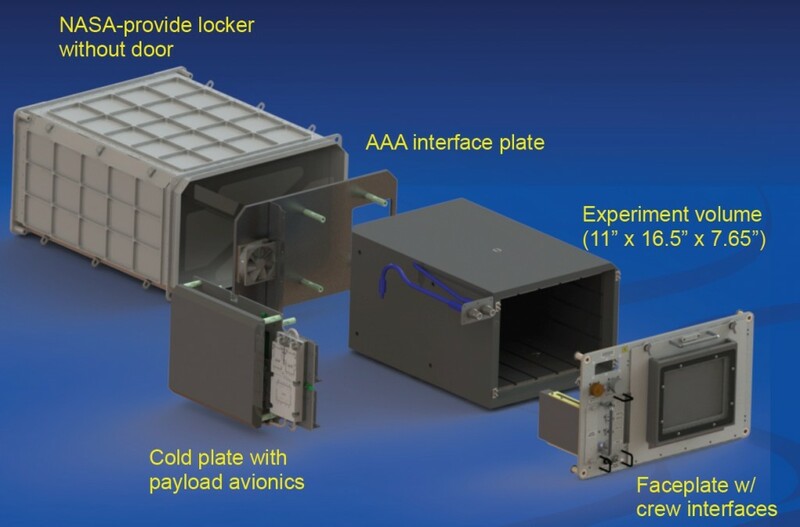 NanoRacks-MicroSat-SIMPL (Satlet Initial Mission Proofs and Lessons) also known as HISat, Hyper Integrated Satellite, is a demonstration satellite developed by NovaWurks in collaboration with the Microsat branch of NanoRacks. 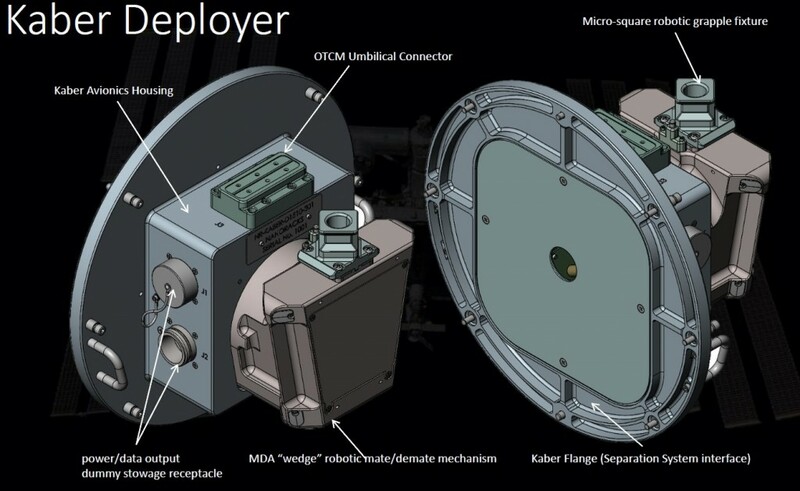 The goal of the mission is to demonstrate a satellite platform that can provide complete satellite functionality in a nanosatellite scale with the ability of modular payload integration and support. The demo satellite hosts a communications payload operated by the US Naval Academy Satellite Lab comprised of APRS packet radio communication transponders to act as relay for remote telemetry, sensor and user data from deployed terminals back to amateur radio operators as part of a network of internet-linked ground stations. The satellite hosts a propulsion system to maintain or raise its orbit and thus extend its mission life. The Packed Bed Reactor Experiment (PBRE) studies the behavior of gaseous and liquid media when flowing simultaneously through a column filled with a porous substance. 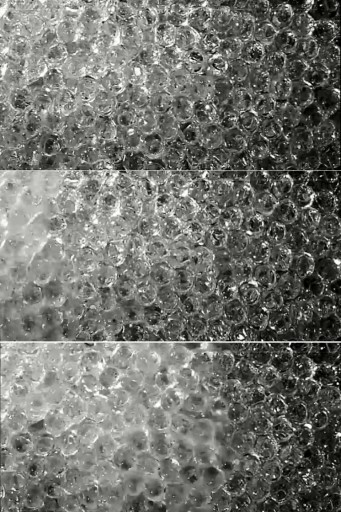 This porous media, the packing of the column, can be of different shapes and materials depending on its purpose which generally is to enhance the contact between the two immiscible fluid phases that are flowing through the column. On Earth packed columns are used in a wide variety of applications such as reactors, scrubbers, strippers and many more. There are no design methodologies for two-phase flow in packed columns in microgravity meaning that two-phase flow equipment can not be optimally designed for in-space applications which means current hardware likely is of excess weight, consumes unnecessary energy and has a reduced efficiency and operational life time. Therefore, experimentation is needed to understand the two-phase dynamics occurring in different packings in the space environment to learn lessons for the design of future systems that need to be more efficient. Current in-space systems where two-phase flows occur include life support systems, thermal control systems, fuel cells, in-situ resources, heat pipes, materials processing, production of pharmaceutical-grade water and the transport of nutrients within soils. Fixed Packed Bed Reactors are currently in use in a number of systems aboard the International Space Station including operational and science facilities. NASA is also designing similar systems for application on future spacecraft, but all without a complete knowledge of flow dynamics in microgravity. The expected return from PBRE will be a set of tools and guidelines to be used by engineers to develop reliable reactors for microgravity as well as the reduced gravity environments of Moon and Mars. Initial testing on microgravity flights showed that the liquid hold-up within packed columns is significantly influenced by gravity, however, typical column systems require several minutes to fully develop which is well beyond the duration of a microgravity flight – requiring a test architecture to be established on the space-based platform for an empirical investigation of column flow dynamics in microgravity. The PBRE study will focus on transitions between flow regimes and associated pressure gradients in the different packing material types. The PBRE experiment rig is mostly operated from the ground and includes the various fluid reservoirs, the column, pumping equipment and instrumentation. 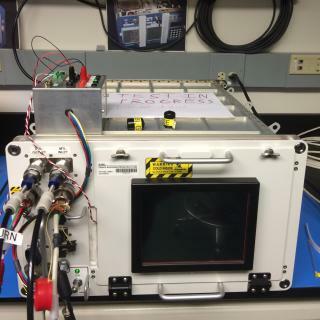 Delivered as part of the data stream from the instrument are the gas and liquid flow rates, test section temperature and pressure and an NTSC video feed to document the progress of the experiment. PBRE is operated within the Microgravity Science Glovebox. BASS-M stands for Burning and Suppression of Solids – Milliken and is part of a series of BASS experiments that investigate how solid materials burn without the presence of gravity which is of use in physics but also in spacecraft engineering and fire protection. The BASS-M experiment looks at flame-retardant cotton fabrics to determine how well they resist burning in microgravity. 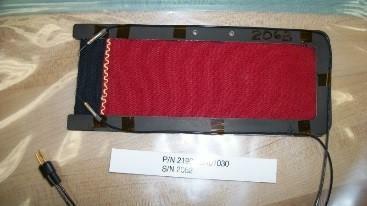 This can be used in the development of flame-retardant textiles for use on Earth and in space. The BASS-M experiment will put the hypothesis that materials in microgravity burn as well (if not better) than in normal gravity to the test given identical environmental parameters (pressure, oxygen concentration, temperature). Also, different air flow rates will be employed to resemble forced convection in microgravity or free fall conditions on Earth. A total of ten differently treated textiles will be tested and each textile’s ability to self-extinguish will be compared against tests conducted on the ground. BASS uses an upward burning test which mimics the worst-case geometry for flammability on Earth which also allows for a comparison of upward burning on Earth and in space. BASS-M delivers to ISS 44 textile samples already integrated with igniter wires – four samples of 11 different sample types, one being an untreated control. Each sample consists of a small portion of untreated textile that interfaces with the igniter to provide a start-point for the burning process so that the flames of the untreated sample directly impinge on the treated portion of the textile. A high speed camera will capture the burning process and sensors will be used to keep track of the burning process, flame shape, flow speed, flame spread rate and flame dynamics such as oscillations and pulsations. The critical observations for the extinction are flame dynamics just prior to extinction for incorporation in models. 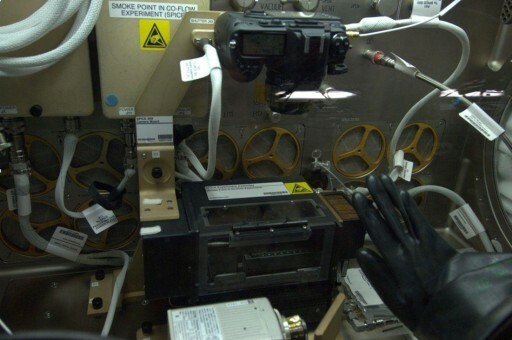 BASS-M uses BASS and SPICE (Smoke Point In Co-flow Experiment) hardware set up in the Microgravity Science Glovebox. Hosted within the assembly is a fan and an anemometer to measure the flow rate which can be adjusted between 5 and 50 centimeters per second. 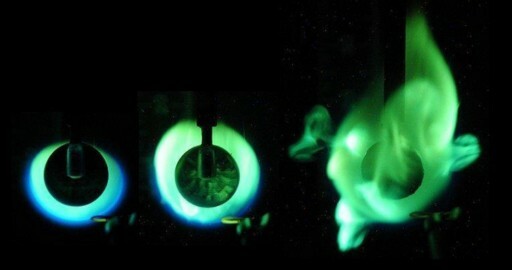 A radiometer quantitatively measures the flame output. Each test is expected to take around one minute from ignition to full extinction. SABL is a new space life science facility to be deployed on the International Space Station for a wide variety of research ranging from fundamental, applied and commercial space life sciences research to education-based investigations. The Space Automated Bioproduct Lab is an incubator facility to host cell culture and other biological experiments, supporting bacteria, yeast, algae, fungi, viruses, animal cells and tissues and small plant and animal organisms. 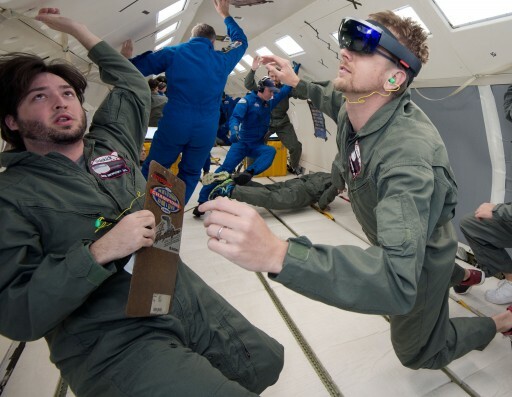 Part of the OA-4 cargo is a set of Microsoft HoloLens devices to contribute to the Sidekick project that aims to use commercial technology to assist crew members in orbit. In use on ISS, the Sidekick hardware can be operated in Remote Expert Mode in which Skype is used to allow a ground engineer to see that the crew member sees which could ease real-time guidance when completing complex tasks including those for which no prior training on the ground was conducted. Also, ground team members could draw annotations into the crew member’s environment to help complete a task. In Procedure Mode, animated holographic illustrations can be displaced on top of objects a crew member is handling in order to lessen the amount of training future crews will require. This type of application could be of tremendous use in missions to more distant targets when communication delays complicate real-time ground support. Sidekick was evaluated as part of zero gravity flights and underwater during the NASA Extreme Environment Mission Operations (NEEMO) 20 expedition. 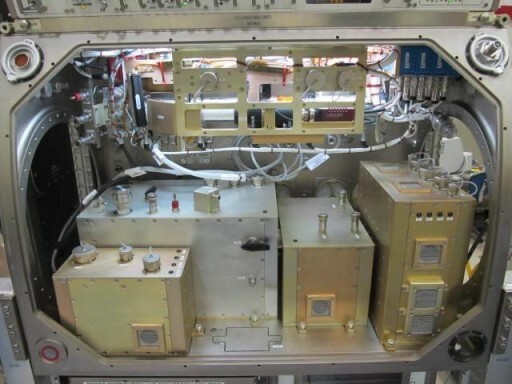 Cygnus is delivering Nitrogen/Oxygen Recharge System (NORS) Recharge Tank Assemblies (RTA) to the Space Station marking the second flight of this new generation of gas resupply missions aboard Commercial Cargo Vehicles. 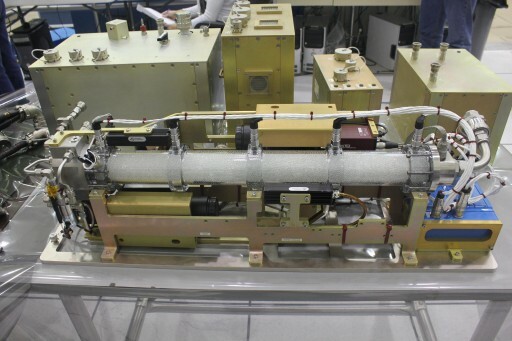 In previous years, breathable air for ISS repressurizations was delivered by the European ATV and the Russian Progress. With ATV flying its final mission in 2014/15, future ISS repressurizations rely on Progress and NORS alone.